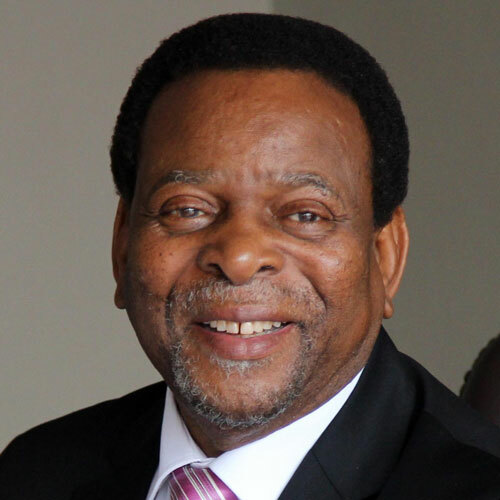 King Zwelithini Goodwill kaBhekuzulu was born on the 27 th July, 1948. He was coronated on the 3rd December, 1971 after his father King Cyprian Bhekuzulu ka Solomon passed away in 1968. It will be noted from this brief narrative that his surname Zulu is not mentioned when reference is made to him or his predecessors who are mentioned by their first names. In deference to the Zulu tradition ordinarily elders are not referred to or addressed in their first names. Instead they are called by their clan names or praise names. For instance the clan or ancestral name of the Zulu Royal family is Ndaba or Mageba. The surname of the Kings are taken as too obvious that they are not ordinarily referred to. As an exception to the tradition the King instead uses his father’s first name in place of his surname. This is identified by the prefix “ka” meaning “of”. So much for the explanation. The King is the head of the Zulu nation and the monarch of the province of KwaZulu – Natal. The Zulu people are spread all over the world and their combined estimate is in excess of twenty five million. These people trace their ancestry to Kwazulu-Natal where the old Zulu kingdom under the mighty and renowned King Shaka ka Senzangakhona once flourished. The King is the direct descendent of this Royal dynasty. The year 2016 marks forty five years of the King’s reign and two centuries of King Shaka’s death. This also makes him the longest serving king in the Zulu people’s history. He has lived under different changing political and social systems. Yet he succeeded in preserving the Zulu identity, culture and language. He has in many instances brokered peace among his subjects as well as between his subjects and other nationalities. In his early days on the throne in 1973, he brokered a peaceful labour settlement between the employees of a brick manufacturing company, Corobrick in Durban and their employer. At the time Black trade unions were banned yet the employees of this enterprise downed tools. This partly contributed to the then government’s attitude towards Black trade unionism. In 1989 he brokered peace between the commercial farmers and their employees atLouwsburg near Vryheid. This was later called Ngoje Accord. In 1984 the King took the initiative to institutionalise the custom of preserving virginity among Zulu maidens by ensuring that an annual event is celebrated by those maidens who adhere strictly to sexual abstention and thus remain virgins until they are married. In 2009 he reintroduced the custom of male circumcision among the Zulu males. This custom had died during King Shaka’s days who felt that he needed the men for his army and thus the custom was impeding his ambitions. The King has remained the champion of a fight against HIV and AIDS through various campaigns. He has worked tirelessly for peace and encourages his subjects to go back to land for their survival. He is a keen farmer and a keeper of Nguni stud cattle and latterly the Boran breed. He has over many years travelled the world extensively. In his travels he has learnt many ways of human existence and adaptation. This has influenced the way he looks at life and has enabled him to adapt to changing times. As he moves forward he ensures he moves with his people. At least the majority of them. The King controls at least thirty percent of the provincial land in KwaZulu-Natal where his people live. Through Ingonyama Trust of which he is the sole trustee he has ensured that his people despite historical land dispossession do not become landless. This is achieved through various policies and practices which Ingonyama Trust Board (ITB) of which he or his nominee is the chairman apply from time to time to protect the people especially those vulnerable from exploitation.. Ingonyama Trust is a statutory trust which own land on behalf of the Zulu nation. The land in question is that which remained in the hands of the state after successive dispossession. It has been noted that modern times require modern thinking and practice. For this reason while the King has for many years executed his assignments without using any legal entity as an vehicle through which his projects and philanthropic work are executed he has acknowledged the need to discharge his public philanthropic responsibility through a foundation trust. This is how the King Zwelithini ka Bhekuzulu Foundation (the King Goodwill Foundation) was conceived. The essence of the foundation is to raise funds for different community and developmental work and promote various cultural, social, economic, philanthropic and educational work across races. This is fully spelt out in the trust deed of the Foundation and could be made available on request. For the protection of the Zulu nation its culture and unity which includes the establishment and creation of the Zulu Royal Council INQOLOBANE Trust (Zulu Foundation) was registered. The objectives of this trust overlap to some extent with those of the King Goodwill Foundation. Among other things they are: promotion of educational initiatives, development and administration of non professional sport, providing health care services, providing community development and anti-poverty initiatives, advancement, promotion and preservation of the arts, culture or custom. More details on this are available on request. This entity while spearheaded by the King, Amakhosi ( traditional leaders) in the province under the leadership of His Majesty will be in the forefront of all the initiatives which form the core of the objectives of this trust. For the welfare of the Zulu Royal family the King has registered a family trust under the name” the Zulu Royal Family Trust”. This speaks for itself. The trust will strive towards advancing and looking after the welfare of the Royal Family. While all these trusts and foundation are now registered with the Master of the High court and therefore lawful legal entities their creation and development is an unfolding process as the King seek wide representation of trustees serving on them. This again is another milestone for the King. The work is therefore about to begin. As the work begins, potential sponsors, supporters, donors and contributors to these three enterprises are requested to enlist their particulars on the Zulu Family Trust website.